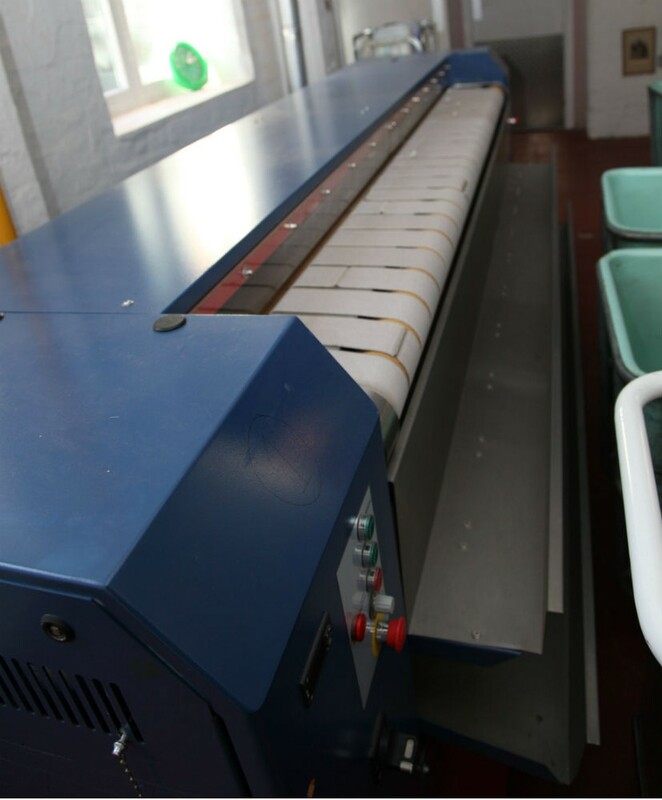 Large (2.5m) rotary iron suitable for hotels, hospitals and commercial laundries. 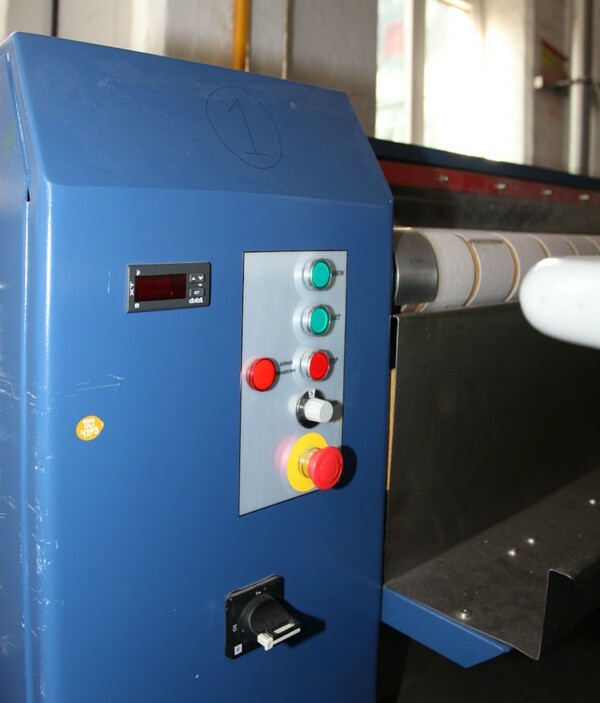 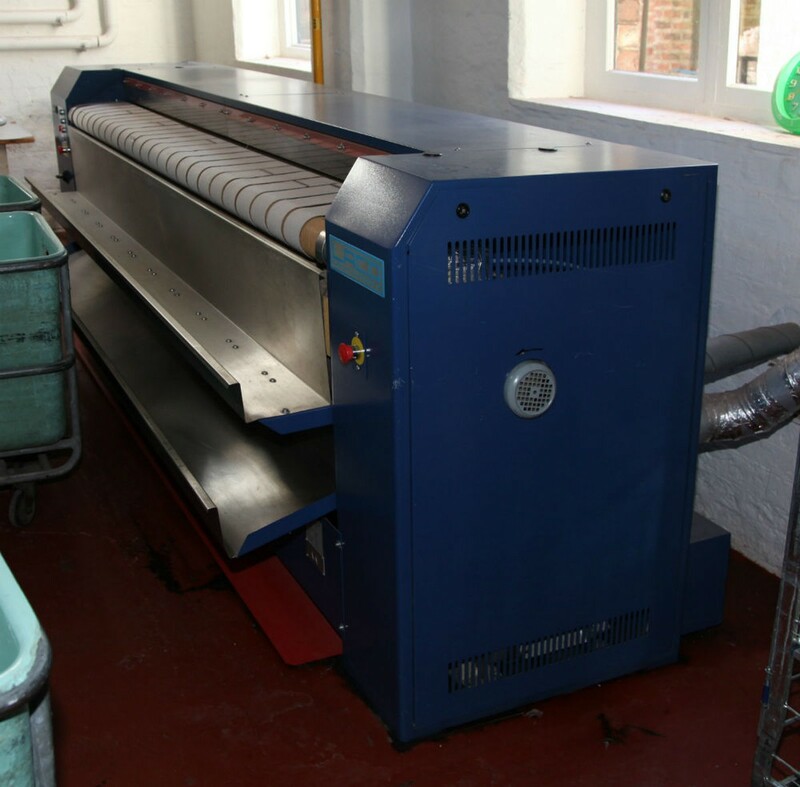 •	The ironer incorporates a boiler with variable temperature control. 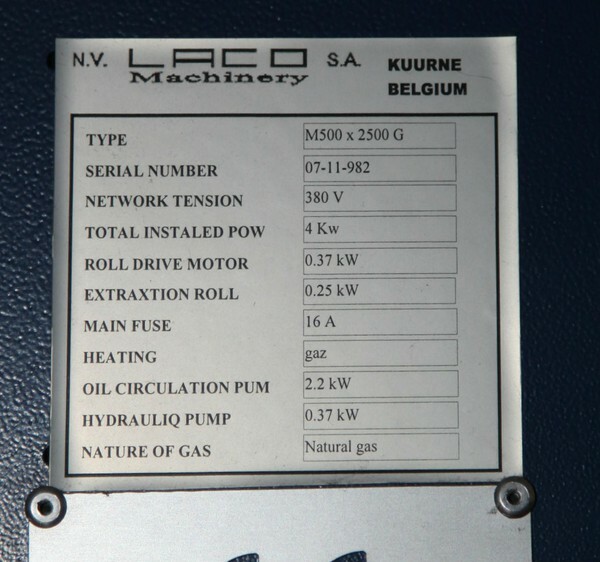 •	The gas model (natural Gas), fan assisted “Low Nox” gas burner fully adjustable gas valve mounted directly onto thermal oil heat exchanger. 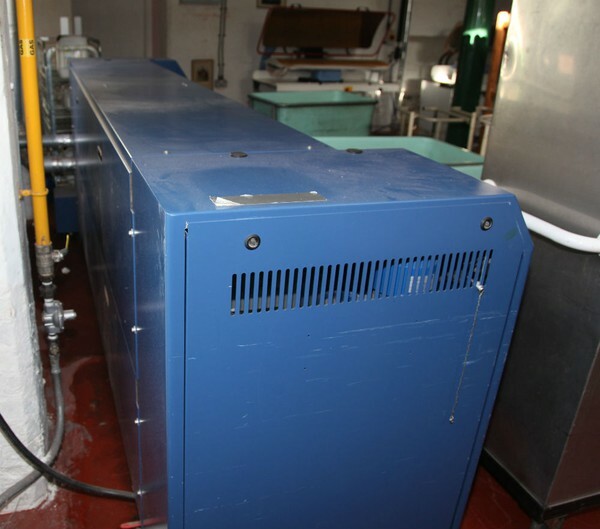 •	Heat exchanger fully insulated. •	Silent thermal oil circulation pump. •	Oil and expansion tanks. •	Variable thermostatic temperature and safety overheat controls.